Happy Chinese New Year! It is a busy time for Chinese restaurants now as we (I’m Chinese) are all looking to celebrate the start of the Lunar new year. 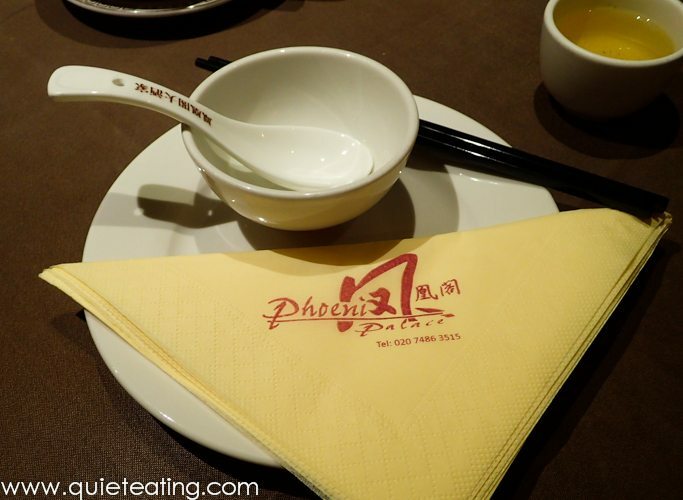 In the spirit of adventurousness, we decided to depart from our usual Chinese restaurant haunts and try somewhere different for the new year. The tea pot. Very standard looking as usual. What comes out of the pot. 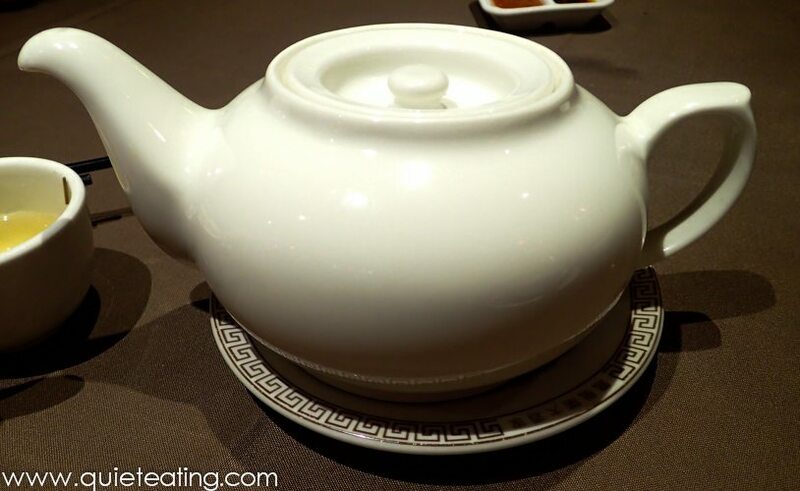 The normal Chinese tea. Leaves in hot water. While waiting for the food, I took the opportunity to study the condiments. 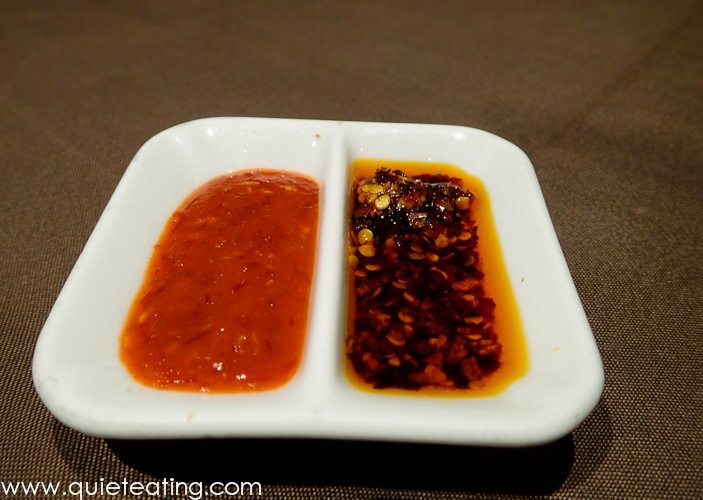 Sweet chilli sauce and chilli flakes. I am particularly particular to chilli flakes as I find it adds an extra bite to food. Although its addictive properties are well documented. I had a friend who would smear this over toast and proceeded to eat it to my horror. You can tell if a Chinese restaurant is good by the amount that the oriental diners spread over their food. Well, unless they are a chilli flake addict. 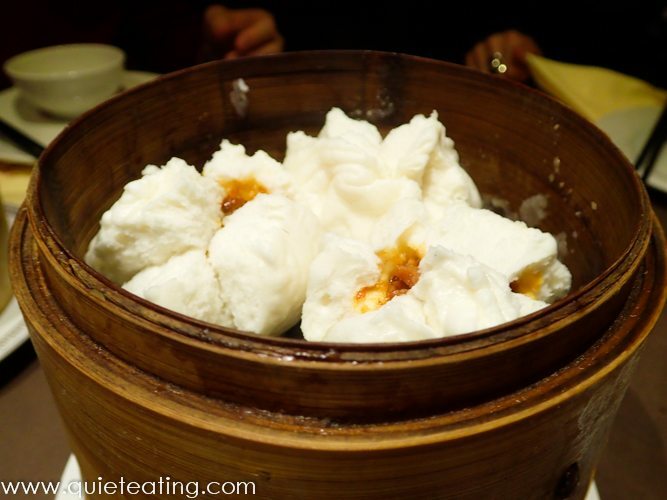 Pork dumplings. A little ball of porky goodness. Standard fare, standard taste. 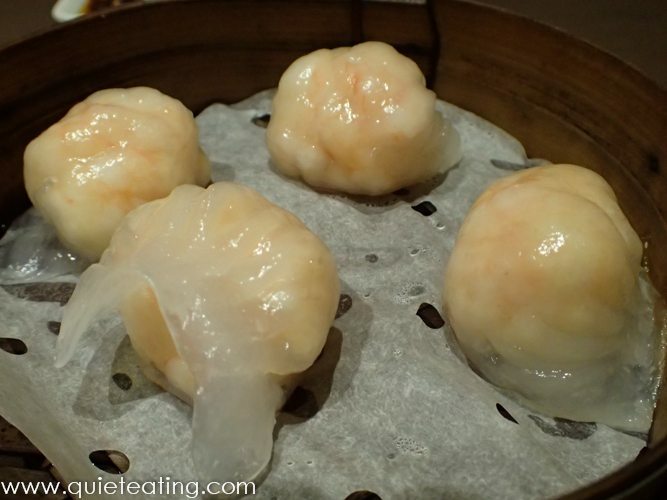 Prawn dumplings. A bit dry inside but decent. 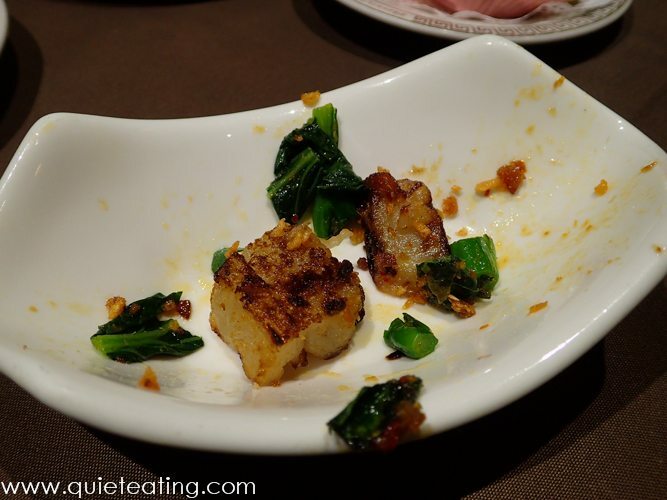 Turnip cake. Sorry, in my hunger I ate most of it before pulling out my camera. This was really quite good. I do love fried stuff. Yam croquette. 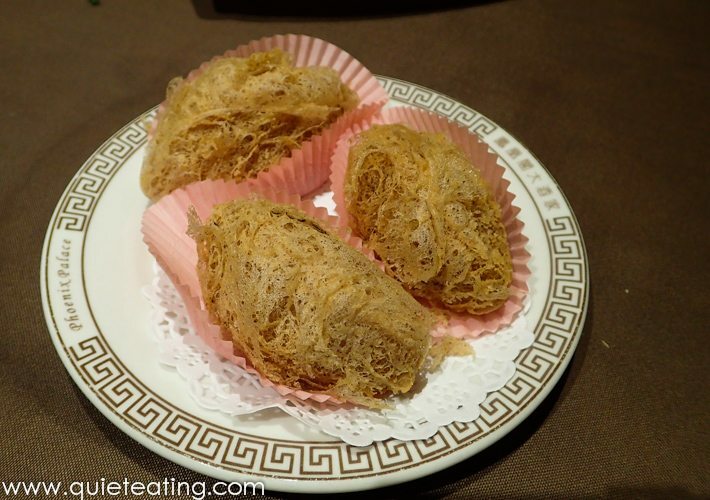 One of my favorites, this did not disappoint with a crispy wrapper with a moist filling of minced pork inside. Mixed meat croquettes. The shell on this had unfortunately soaked up alot of the oil used to fry it. Kind of like bad fish and chips. It left a slightly unpleasant aftertaste. Roast pork buns. Light and fluffy. 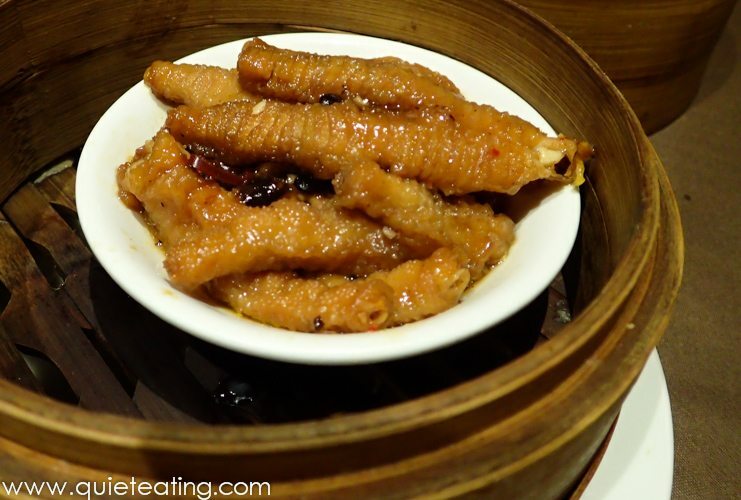 Chicken feet. Something that my fellow diners insisted on. I detest these as I cannot stand the very chewy texture. But do not let me put you off. You might find it pleasant. After all some people find curling riveting to watch. As for me I cannot understand the fascination. 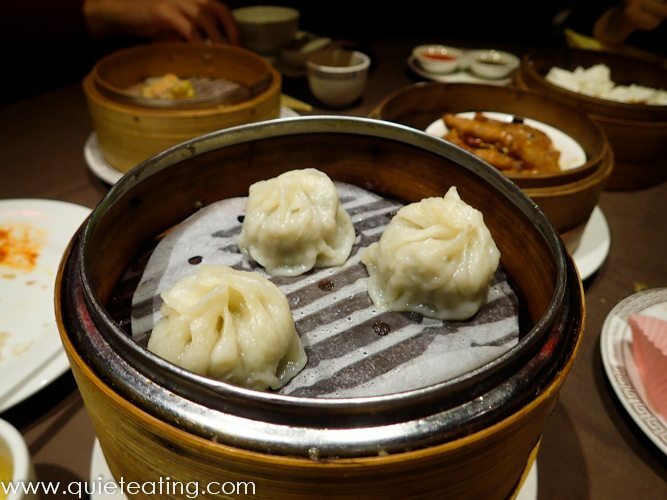 Shanghai soup dumplings. These are usually such a treat. 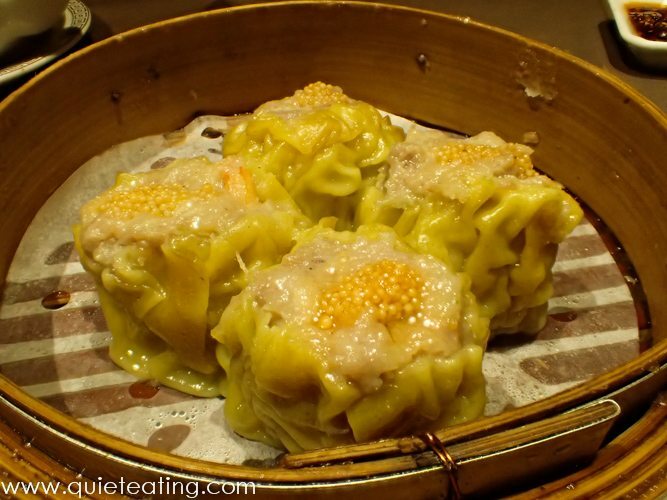 They are minced pork in soup which is wrapped in dough and steamed. Usually one of my favourite treats. However, in this case they seemed a bit dry. Maybe the bun I tried had unfortunately sprung a leak. Prawn toast. I do love my fried food. 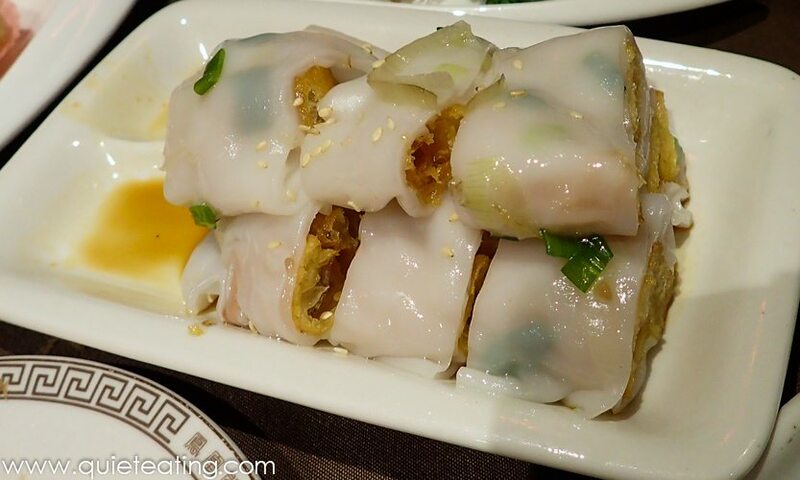 A crispy wrapper surrounding prawns. What’s not to like? Fried dough rice noodle warps. One of my favourites. Although it is full of carbs! 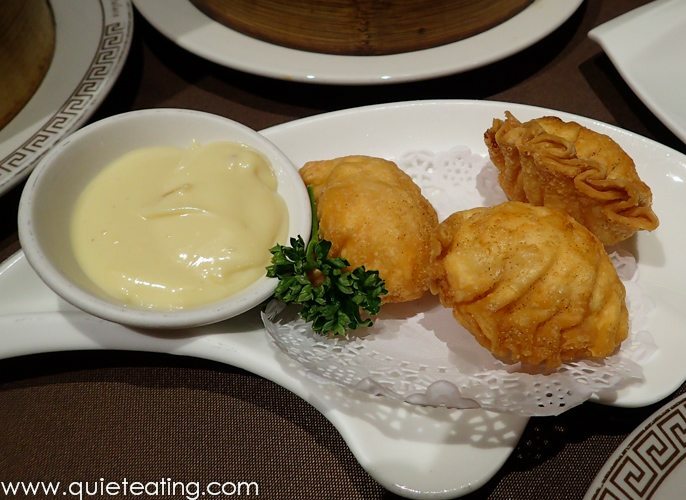 Fried seafood dumplings. 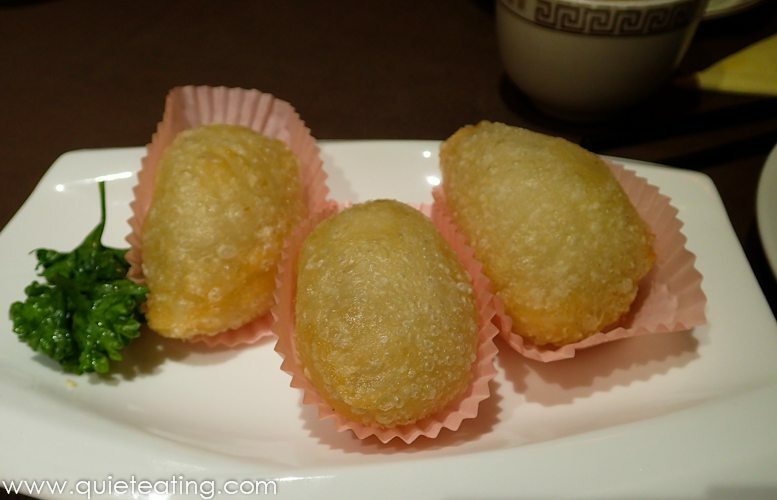 I do love the fried dim sum! Overall, we found the food to be above average quality. Better than the usual haunts in Chinatown. As a Chinese person, I think that I have more than a passing acquaintance with Chinese food. Before you ask, no, I haven’t eaten Chop Suey. That is just a mishmash or left over food. It’s not real food! However (here is the but) the service was terrible. Dishes kept on being forgotten or misplaced. 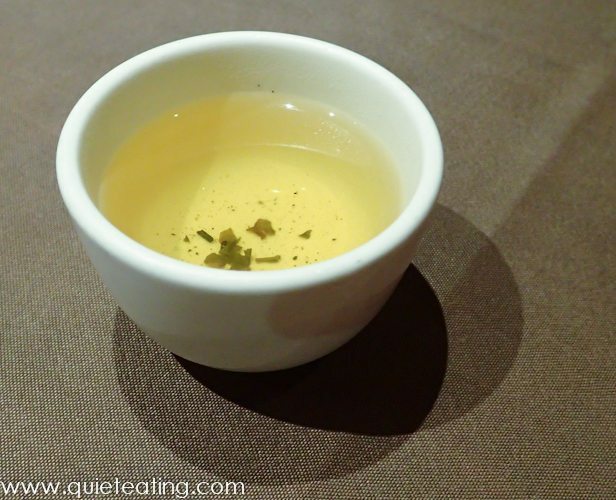 Tea was not refilled for a long time despite us asking twice. When we wanted to pay, we had to wait a long time (over 10 minutes) for them to bring the card machine which they were having issues with. I did idly wonder if it might be faster if I upended the table and decided to cause a scene. I think that this would win the award for one of the worst experiences of service that we have had to date in London. Best avoided. Lunch (all of the above) was GBP15 per person excluding drinks and service.